Betty Engelkes was born on June 18, 1939 on the family farm in Leeds Township, Murray County, Minnesota to Albert and Elizabeth Kuehl Nelson. At the young age of 2 Betty contracted Encephalitis; back in the day it was called Horse Sleeping Sickness. Betty fully recovered from her sickness to live a full wonderful life. 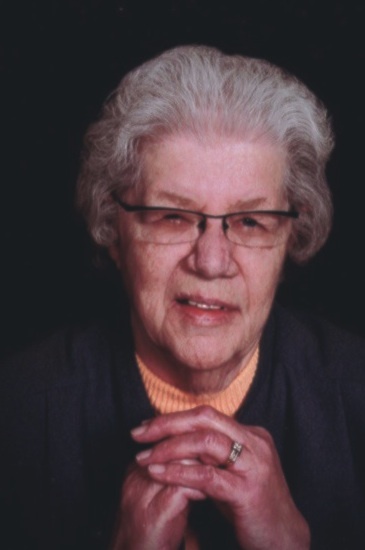 She grew up on the farm and graduated from Slayton High School in 1957. Betty then attended St. Mary’s School of Nursing in Minneapolis, MN graduating in 1960. On July 29, 1961 she and Ernest Engelkes were married at St. Ann’s Church in Slayton, MN. Following their marriage they made their home in Slayton where Betty worked at the Murray County Hospital. Betty retired in 2005 after 45 years at the same hospital. Due to failing health Betty moved to Our House Hospice Home in Slayton on May 11, 2018 where she passed away with family by her side on Tuesday, August 28, 2018 at the age of 79. She was a member of St. Ann’s Church in Slayton where she was active in the CCW and the Catholic Daughters of America. Betty enjoyed spending time with family and friends, camping, fishing, her flower gardens and time at Lake Ina in Melby, MN. She will always be remembered as nurse Betty by the many patients that received her loving care over the years. Survivors include her husband, Ernest Engelkes of Slayton, MN, three sons and their spouses, John and Heather Engelkes of Slayton, MN, Jeff and Marti Engelkes of Slayton, MN, and Terry and Jennie Engelkes of Hadley, MN, eight grandchildren, Ross Engelkes, Cale, Rylan, and Carson Engelkes, Greg, Darren, Briana and Elizabeth Engelkes, one brother, Eldon Nelson and his wife, Elvera of Slayton, MN, two sisters-in-law, Norma Nelson of Wilmont, MN, and Sodona Nelson of New Prague, MN, and several brothers and sisters-in-law and their families. She is preceded in death by her parents, brothers, Lewis and Curtis Nelson. St. Ann’s Church in Slayton, MN on Friday, August 31, 2018 at 10:30 a.m. with Fr. Thien Nguyen officiating. The organist is Judy Andrews. The song leader is Emily Kathman with special music by her grandson, Cale Engelkes. The pallbearers are her grandchildren. The honorary pallbearers are Lorna Bader, Betty Dahlhoff, Alice Knutson, Bernice Stoderl, Jill McCord, Bev Schreier, Betty Hughes and Jan Kunselman. Interment is at Slayton Memorial Gardens in Slayton, MN. Visitation will be on Thursday, August 30, 2018 at St. Ann’s Church in Slayton from 4-7 p.m. with a CDA Rosary at 4:30 p.m. Visitation will also be one hour prior to the services at the church on Friday.